Weddings, are something special for everyone involved, there is always a lot of stress building up to the big moment where they say “I do” and then are presented for the first time because there is always so much in motion. From there it’s quick do the posed photos and then onto the party where the stress of the day hopefully fades away into the happiness of the night. Over the weekend we had the privilege of being the photographer at our good friend Jessica and Derek’s wedding. It was the first wedding for the season for us over at Vagabond Photography and to see the happiness and joy in their eyes it made the day truly memorable. Going back over the day in my mind two moments really stand out. The first was the ring ceremony. It is my guess from a little bit of stress and nerves it made it hard to slip the rings on and Father Danczyk knew just the joke to make bringing some light and laughter to a special(if not somewhat stressful) moment. The joke was along the lines of good things take time and sometimes it’s not always easy, I believe. The second stand out moment came during the reception. The best man Tony Z. and a good friend of ours gave one the most memorable speeches I have heard in a lifetime of attending weddings as a guest or photographing them. It was a mix of a lifetime of memories that Tony and Derek have shared thrown in with some classic Jonny Carson style one-liners. (when they first met) Tony: Hey Derek wanna help shovel driveways for 5 bucks a driveway? (over a summer) Tony: Hey Derek wanna go fishing? (Oct 1, 2015) Tony: Hey Derek wanna going to Canada deer hunting? Derek: I can’t I’m with Jess now. (Oct 2, 2015) Tony: Time to find a new hunting buddy. Jess laughed, but not at hard. In those moments there is the joy and a little frustration. Not just between the bride and the groom at the altar of love where the rings are being a little fussy. Also between two good friends, who in that moment knew how to throw that one little jab at his friend to make the night more memorable for themselves and to everyone in attendance. As a photographer getting that special candid moment can sometimes mean more them than a posed photograph with the entire wedding party, because looking at the candid many years later can bring back a flood of emotions and you’ll start laughing all over again. At Vagabond photography our goal is to be able to tell the story of your special day whether that be in a slideshow, an album or in the select photos you choose to hang on your walls. Moments like the two listed above make the love of our work so much more fulfilling and easier. Jess and Derek, its was such a privilege to be a part of your wedding and I wish you both nothing but the happiest of days and I cannot wait to see your smiling faces again. Now here’s a sneak peek from Jess and Derek’s wedding day. Over the weekend I traveled back to Stevens Point Wisconsin to cover Lambdin Camp Round Two. 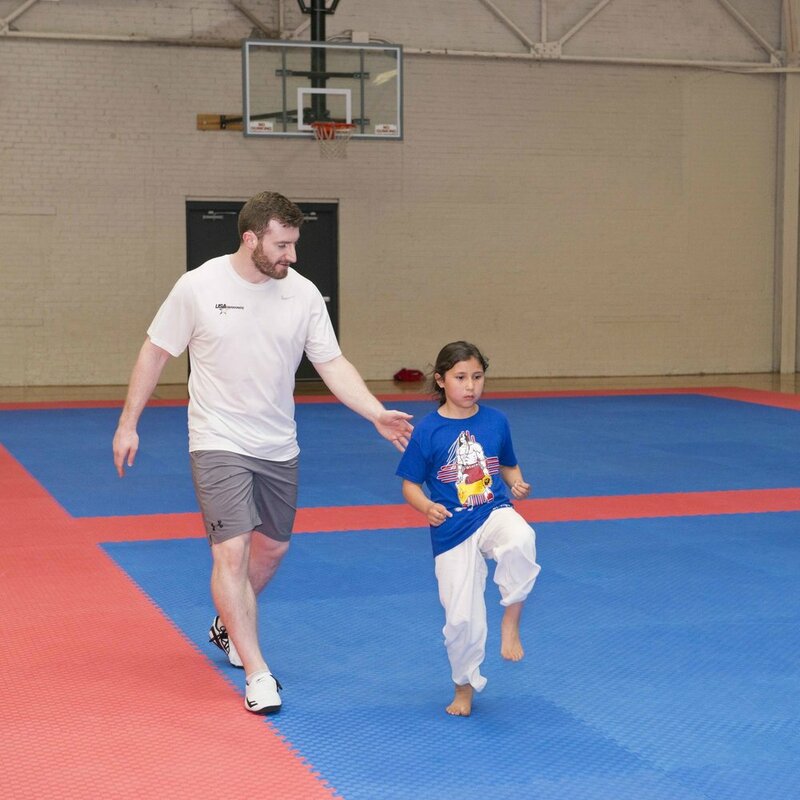 This year, Olympian Stephen Lambdin came back to teach a taekwondo camp for martial arts athletes in Stevens Point, Wisconsin. 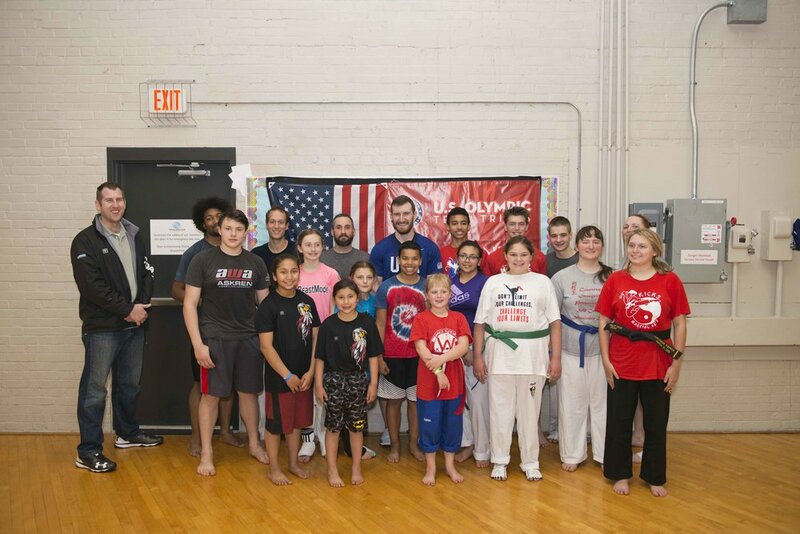 The event was hosted by Paralympic hopeful Alyssa Fencil along with Five Ring Martial Arts of Steven Point. It was a fun weekend and it was nice to be able to sit down with Stephen and hear about how his year has been. We were also able to photograph some of last year’s young athletes and see how they have progressed sense we have seen them last. The one thing that I have always been amazed with from athletes, is to see how they learn a move or a new technique at one seminar and then you don’t see them for eight months to a year and then you get to see how they have integrated that move/technique into their sport. I cannot wait to do this camp again it is always so much fun and over time, the people that come to these events become great friends. Over the weekend we had a fun weekend off to go and watch out good friend Joe get married to the love of his life Kelsey. Normally I spend my time photographing a wide range of events from weddings, to senior and family portraits and corporate events. It was interesting because I really haven’t sat through a wedding in the last five to six years, normally as a photographer I listen for que’s and start to compose my photograph of what is about to happen. So, it was fun to sit in the passenger seat for once and just let it all happen around me. Joe and Kelsey could not have asked for a better May day, the weather was great for us at the wedding in Wisconsin Dells, during the month of May it can be a guessing game of whether the weather will be warm or cold, rain, snow or shine (FUN FACT, Wi has had snow every month of the year but July). Thankfully we ended up with a warm sunny day and a church with A/C. While sitting there watching the other photographers and I started to wonder is there thought process the same as mine? Is the lead photographer hoping the secondary got the shot of the other side of the church, are they hoping they won’t have to change batteries mid run? Then I chuckled to myself and thought yeah, they’re thinking the exact same thing I would be thinking if I was shooting right now. As the night progressed it was great to be able meet up and chat with friends and acquaintances I had not seen in a few year and also meet some complete strangers and make some new friends. So it got me thinking fellow photographers, if anyone is willing to share, are you able to sit back and enjoy a wedding that you are attending and not photographing or do you find yourself thinking I wonder what’s going through that photographers head? Having some fun, taking time to smell the resin! It seems to me that I am always on the go, from photographing weddings, events, portraits, to prepping sites that rested all winter under a blanket of snow and a myriad of home improvement projects that come with of having a home. Well this weekend we ditched all of that and headed South to Chicago for some FUN and don’t worry we didn’t leave any clients hanging. Normally when I take some time away from photography as a job I normally don’t take my professional gear with me, I’ll take my point and shoot or just use my phone and try to be in the moment and kinda be a tourist. 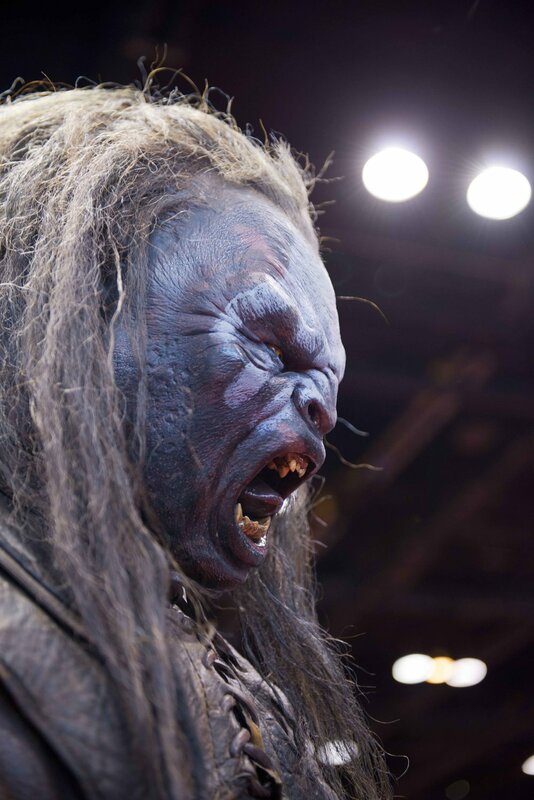 Though weekends like these are a little different, this past weekend marked our yearly trip with friends to C2E2. For those of you not familiar with this it stands for Chicago Entertainment and Comic Expo. Think of it as the Midwest’s answer to San Diego’s Comic Con, except it’s better cause it’s close to home. As hard as I try I cannot seem to leave the camera at home when I come to this event. 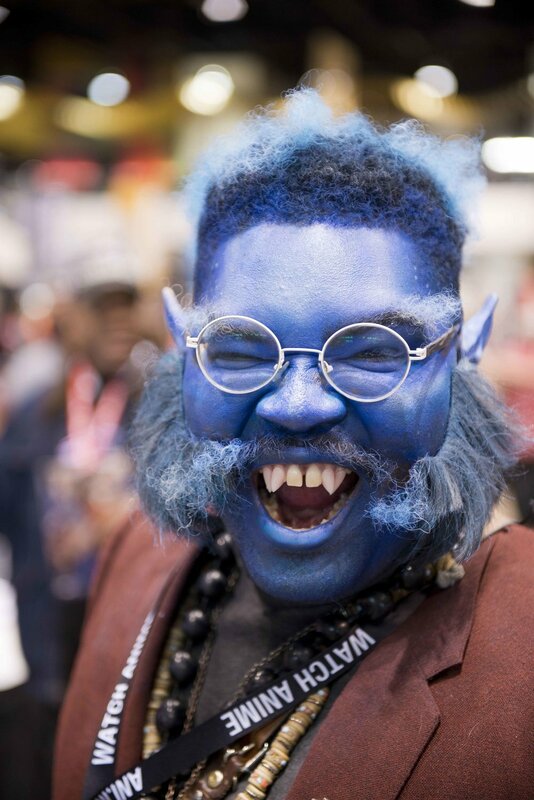 The time and effort cosplayers put into their costumes is truly astounding and a camera phone or a point and shoot does not seem to do their attire justice. Q’s necklace was hand made and Tank Girls gun is not something you can buy off a shelf. Over the past few years one of my favorite piece was a green sparkling jewel made from a green beer bottle. Also with the advent of 3D printers being more readily available already amazing costumes are being taken to the next level. 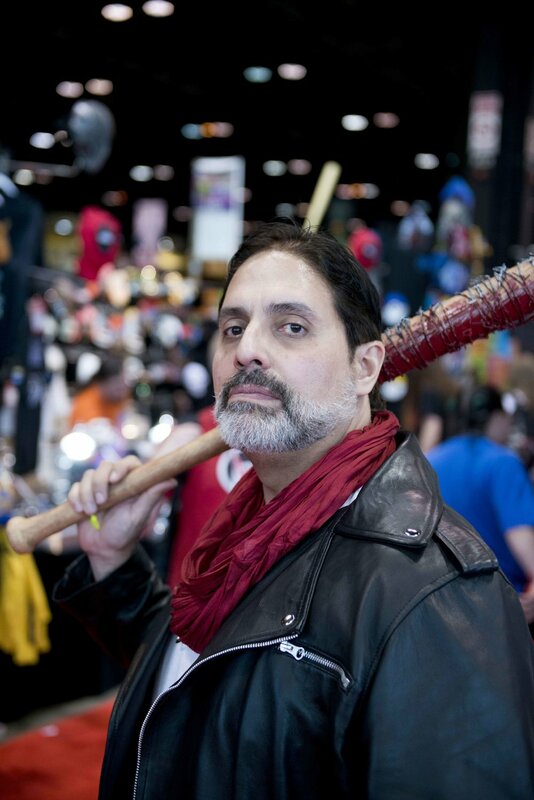 So below are a few of my favorite cosplayers I encountered over my Saturday trip to C2E2. Love is in the air or is it cabin fever? It’s that time of year where love is in the air or maybe it’s the cabin fever or some form of both. For us at Vagabond Photography it’s where we come out of our winter hibernation and start gearing up for spring/summer weddings, corporate events, senior portraits and so much more. Also, we will be traveling around to a few of the areas comic cons for fun. It’s been a long, kind of dull winter here in Southern Wisconsin. We have had a lack of snow and an abundance of rain and abnormally high winter temps. It seems though, weather is finally starting to change for the better, hopefully, and we would like to reach out to the recently engaged or couples looking to have a unique on location photo session. There is still some snow in parts of Wisconsin so if you were thinking “hey I’ve always wanted pelt my significant other with a colored snow ball (provided we still have snow) or ice skate on a lake” for a photo session we can help with that. The joys of Wisconsin the possibilities are endless you just need to have a love of outdoor spaces and the willingness to brave the cold. As spring progresses and it gets warmer out we can even change it up to suit you and your significant others outdoor activities. That could be anywhere from activates on the lakes and waterways, to the riding trails of Northern WI or relaxing on the beaches of Lake Michigan/Superior to the cities Madison/Milwaukee or anywhere/anything in-between. This spring we are also looking forward to getting back to some of our fun personal projects and we will be looking for some people to collaborate with to create some new and exciting photos. We’ll discuss those more at the spring rolls along. We look forward to hearing from you and bringing your dreams and imagination to prints that will hang on your walls. We also hope that you and your loved ones have a great Valentines Day.